The chief of Iran’s atomic energy agency provided further testimony to the anemic nature of Barack Obama’s nuclear deal by stating on Tuesday that Iran could resume enriching uranium within “at most five days” if it desires. 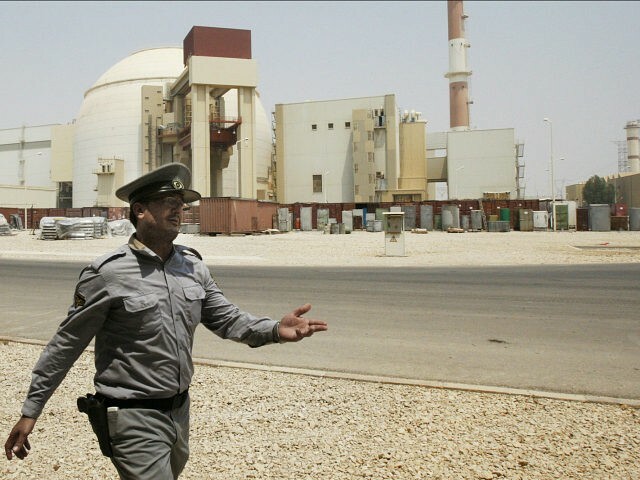 Under the deal, Iran is restricted to 5 percent enrichment, which is sufficient for power plants but not nuclear bombs. 20 percent enrichment is weapons-grade material. The Obama administration was firmly convinced Iran would need at least a year to resume 20 percent enrichment if it broke the nuclear deal. Salehi is not the first Iranian official to boast of how quickly nuclear weapons development could be resumed. Last week, President Hassan Rouhani claimed it would take only “hours and days” to regain the capabilities that were sacrificed for President Obama’s deal. Reuters notes that Salehi gave his five-day estimate specifically to refute accusations that Rouhani was bluffing about how quickly Iran could resume bomb research. “The president’s warning was not baseless,” said Salehi. These threats are beginning to sound suspiciously like nuclear blackmail. Iran has asserted that the nuclear deal makes virtually all U.S. sanctions against Tehran illegal, including those imposed for supporting terrorism. Iran claims its ballistic missile program is not covered by the deal, but it does forbid American sanctions over Iranian missile research. Rouhani accused Trump of “bullying” Iran with sanctions and said such “failed policies” are what forced the Obama administration to negotiate what Iran views as a surrender and apology to Tehran for the unjust imposition of sanctions in years past.